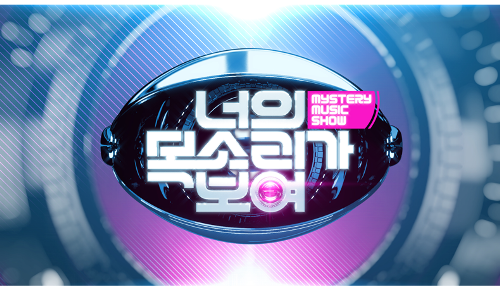 Finally, a brand new variety show (or talent show) that suit my taste! This show is a perfect show to watch when you need a couple of laughable items while looking for something gripping and exciting. Differentiate the skilled vocalists and tone-deaf participants just by looking at their appearances and singing visual. 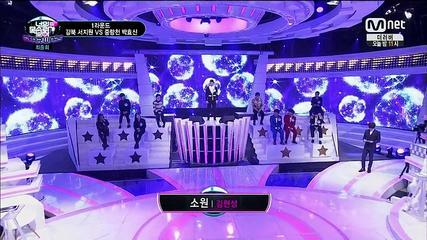 This round will show a muted video of each contestant’s singing and will only reveal 0.3 seconds of their singing voice. Also in this round, the participants are not allowed to speak. Identify the skilled vocalists who are lip syncing to their own voice and the tone-deaf participants who are lip syncing to someone else's voice that have their similar voice tone. Before they perform lip-sync, the participants will introduce themselves first and tell their stories. Through a 100 seconds question and answer, differentiate the skilled vocalists who only tell the truth and the tone-deaf participants who mix lies in their stories. The last contestant standing will earn the opportunity to sing a duet with the guest at the end of the show and receive a prize of 50,000,000 KRW. The concept of the show is brilliant. The title of the show fits perfectly to its premise, even funnier since it is a pun of a popular drama “I can hear your voice”. And the fact that the show invites a really good singer, not a mediocre one, to be presented as one of the contestant is showing that the show was really aimed at finding a diamond in the rough. The seriousness of the production team to build such stage once again showed that Korean TV shows are never taking a middle path in realizing their shows and they are always doing it with such strong intention. 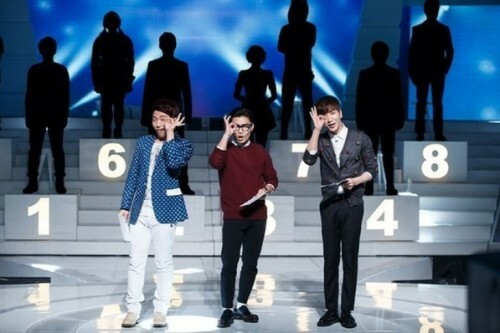 There are three MCs who host the show. They are Leeteuk Super Junior, Yoon Se Yoon, and Kim Bum Soo. 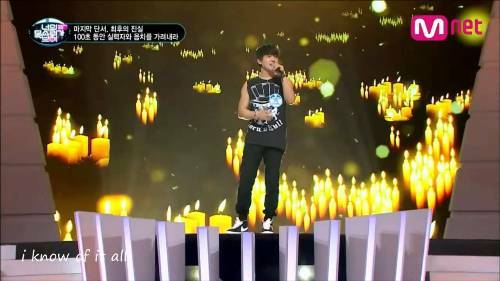 Kim Bum Soo was also the first guest of the show. The combination of these three people is fine. It’s not perfect, but it also not bad. Each MCs has their own characteristic and signature style which distinguish them from each other. The good part is that none of them do better than each other, which is good. The three of them are hilarious as well, so I think it’s not a bad decision for the production crew to unify these three boys together for the show. 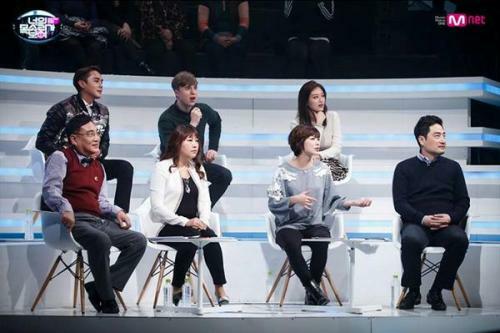 As for the panelist, the number of this team is changing in every episode, sometimes it’s 5, 6, 7, or 8. But from what I look, Julian and Kim Sang Hyuk remains at their spot at the first row and second row panelist respectively and never absent for the show. Other standout panelist is Ahn Young Mi. 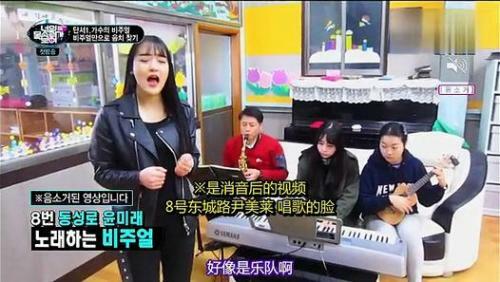 Ahn Young Mi used to sit beside Julian as the first row panelist, however starting from episode 5 onward, Jang Dong Min takes over her place and she has yet to present again on the show. Based on that assumption, I think the presence of panelist is pretty essential for the show, because it create interaction between the casts. Even though sometime (or most of the time?) their input is wrong and the guest should just go with his/her belief. The show is like a glass of iced lemonade in the middle of a sunny afternoon. It is refreshing, pleasant, and simple yet addictive.